The smallest working Church in Britain! 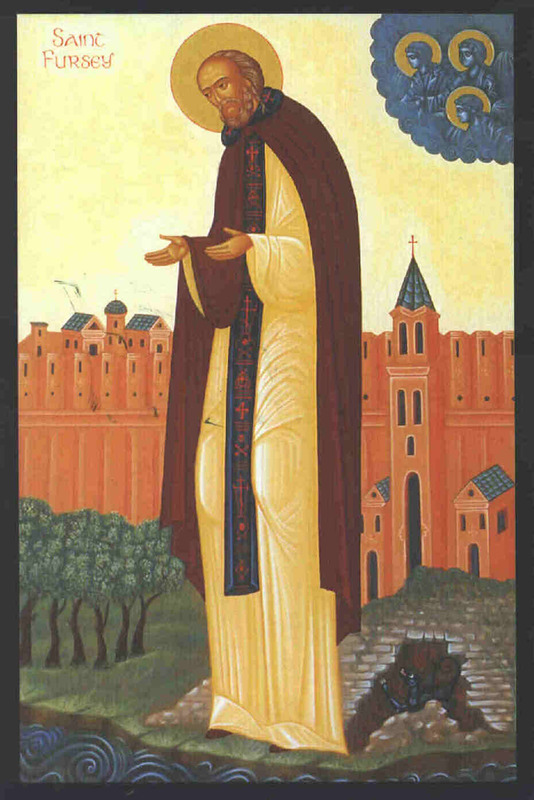 Dedicated to Orthodox Saint Fursey - Norfolk, England. St Fursey's is understood to be the smallest working church in Britain. Both the Church of England and Catholic church, in Britain, were unable to name a smaller church. 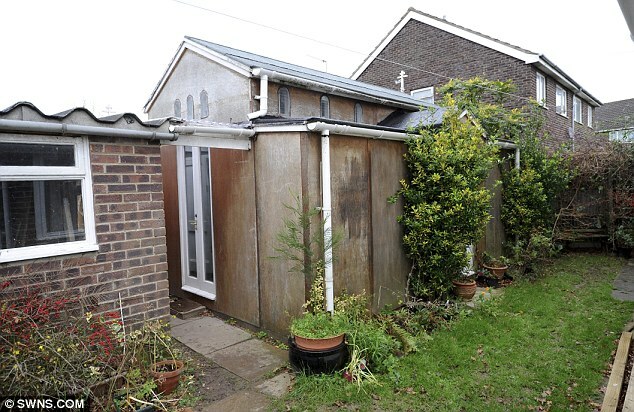 Bremilhan church in Wiltshire is known to be the smallest church in the country, at 13ft by 11ft, however services are only held there once a year. Well Jesus was a carpenter! 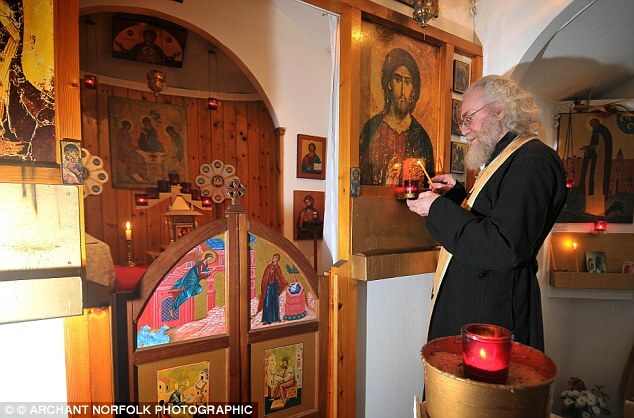 Priest with an A-level in woodwork builds his own jewel of a church... out of a garden SHED! 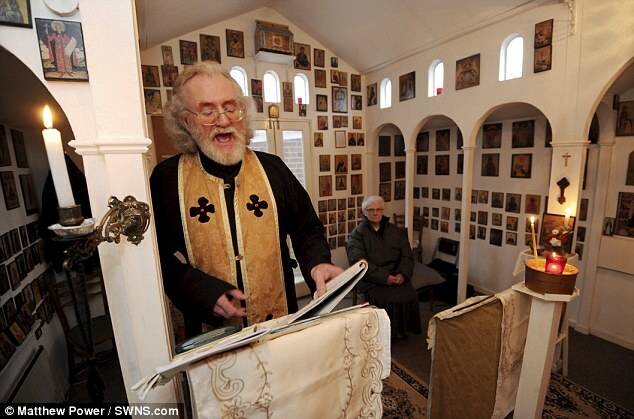 At the beginning: Father Weston, 63, constructed St Fursey's Orthodox Church in Norfolk with just an A-level in woodwork, earned 14 years ago, to his name. Father Weston served as an Anglican priest with the Church of England for 20 years before he became disillusioned with its ideals at the age of 50. He says he was upset with the direction the Anglican Church was heading and admitted the ordination of women to the priesthood was 'the straw that broke the camel's back'. 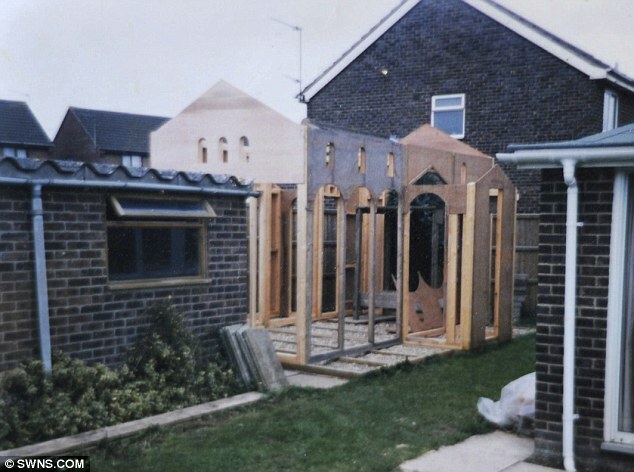 Arch diocese: The Byzantine arches of the wooden shed, which is 18ft by 13ft wide, has become a local landmark in the middle of Father Weston's housing estate. Ceremony: Father Weston was ordained by the Orthodox church in May last year, in a ceremony in Paris. 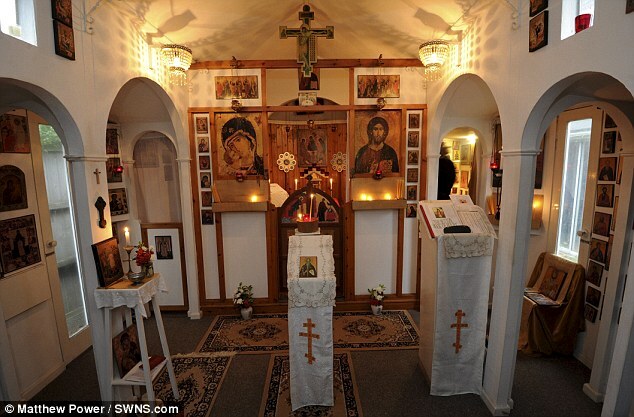 However, it has been blessed by a bishop from the Orthodox church, making it an official place of worship. 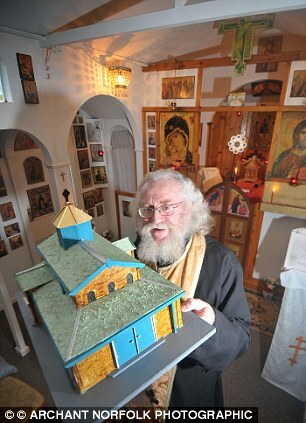 Bigger plans: Father Weston with the model of their new church, built by Patrick Robinson, a member of the congregation. Article published in English on: 28-1-2012.